What a pleasant place to spend some time and enjoy some beer! 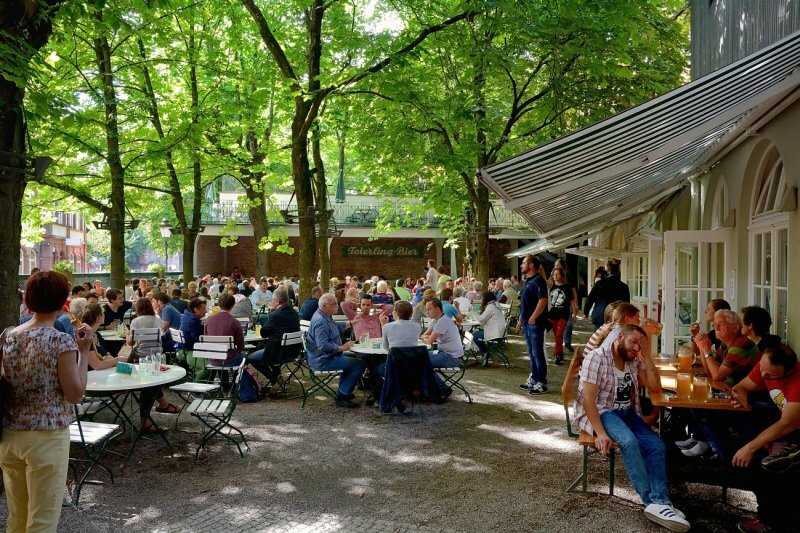 V.
Nice shot of this busy Biergarten. Looks like a great place to sit with the shade of the trees. nothing like a nice Weizen on a Summer Day! "V"
nice place.. give me one !! A fine place to sit and have good beer. "V"